So as I announced a day or so ago on twitter I decided to work on the series for an solo exhibit I want to do in the summer. The series will be of a couple of Hip Hop artist, and their "Pop" (For a lack of better words) counter-parts. I had gotten a lot of great ideas from people of who should go with who. 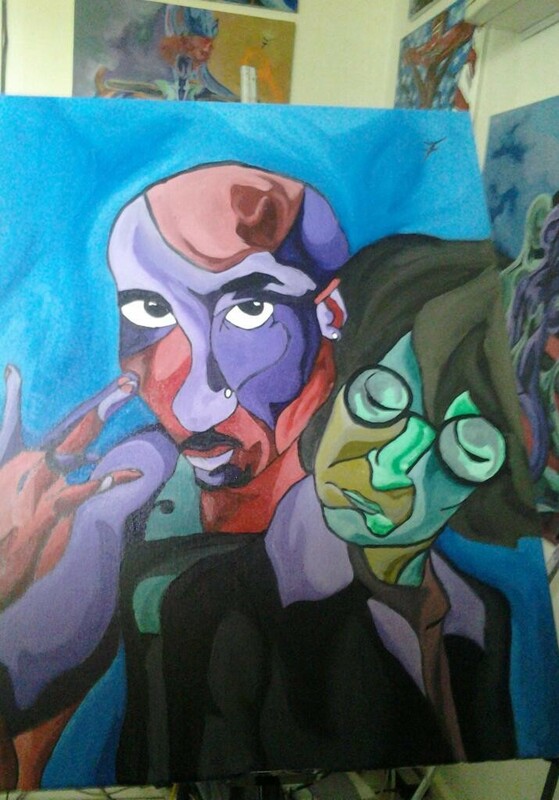 I personally have always felt that 2Pac was more of our generation or Hip Hop's John Lennon. Both known for being controversial, making timeless soul touching music. And passing rather tragically. I don't intend to show all of the pieces until the exhibit, I mean that would defeat the point I guess. But I had to show something. This piece may still see a few changes here and there dunno yet. As for the date of the exhibit...I still don't know. Stay tuned.